A mass exodus of economic refugees from Zimbabwe is expected as the livelihoods of hundreds of civil servants have ground to a halt. 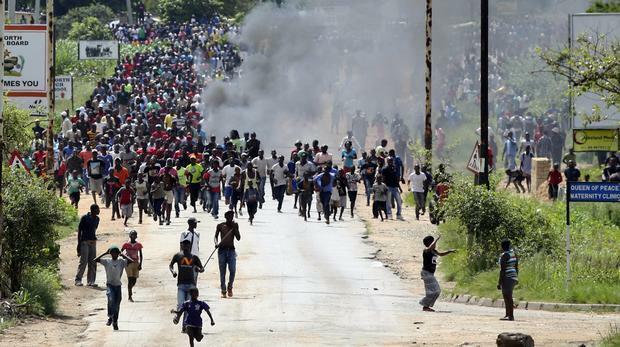 Experts have warned South Africa to expect an influx of “economic refugees” from Zimbabwe in the aftermath of a fuel price hike in that country which has led to violent clashes between protesters, civilians and the security forces. While relative calm has been restored to the capital Harare, political activist Gerber Ngwere fled to South Africa over the weekend and told The Citizen he was expecting thousands of his countrymen to follow suit, in light of political tensions and “impossible” economic conditions. The announcement of a fuel price hike, which effectively brought the price of a litre of petrol to R46, brought the country to a near standstill, with businesses halting operations as Zimbabweans found themselves unable to afford petrol and transport. The ensuing violent protest action led to at least five deaths and over 200 arrests, according to activists. Ngwere said: “Things are going to get worse. We’re not expecting an end to this conflict yet because people are still being told to stay away from the city [Harare]. Harare-based senior Institute of Security Studies researcher, Derek Matyszak, said while the violence may have abated, he expected a mass exodus of economic refugees as the livelihoods of hundreds of civil servants had been ground to a halt by Zimbabwe’s dire situation centred around the counter-productive electronic currency introduced by Mnangagwa’s regime. Matyszak said South Africa could have saved the situation – if only temporarily – had it lent Zimbabwe the $1.2 billion (R17 billion) the country requested. Zimbabwe has reportedly been trying to raise $2 billion to service its massive loans which were in arrears, preventing the country from accessing any more credit from international financial service institutions. “That money could have been used to service some of the debt it owed to the African Development Bank and the IMF [International Monetary Fund] and this would have opened up opportunities to get more credit from institutions such as the World Bank,” he said. But Matyszak added that given Zimbabwe’s dire economic situation, it would be difficult to say when it would afford to pay back such a loan from South Africa or any other potential creditors.